Hello and Happy New Year! I did mean to get this one finished off before New Years but unfortunately it didn't happen but anyway we'll start the new year off with a bang with the greatest game I have ever played. Looking forward to a new year in gaming and I hope you like the new look and colours for the blog. Of all the games I’ve reviewed, this one may be one of the most difficult, how do I review my favourite game of all time? Not to mention it’s one of the most popular Mario games ever, It’s like reviewing Pac-man and giving it a score out of 10, but I suppose I must. Before I owned a console (or a PC for that matter) I, like my other gamers my age in their younger years, cut my teeth at arcade’s playing Pac-man and Space Invaders, and also on those crap little handheld devices with dot matrix screens. Later on I played consoles at friends houses who had either Sega Master Systems and played Sonic the Hedgehog and other built in games such as Alex Kidd and Golden Axe or they had Nintendo Entertainment systems and played the Mario series obviously and other greats such as New Ghostbusters II and A Boy and his Blob. It wasn’t until my father brought home a Super Nintendo, one of the greatest and most popular consoles ever made, that my gaming career really took off. 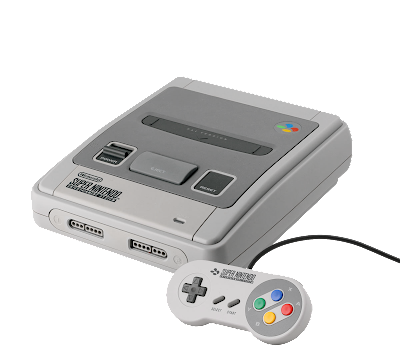 The mighty Super Nintendo Entertainment System, PAL aka Europe and Australian version of course. 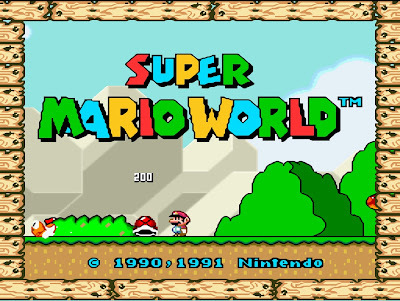 And the very first game we bought for that console was none other than Super Mario World. Thinking back now I can’t really remember my thoughts about playing it, I guess I just really liked it as I always looked forward to coming home from school and playing. I never owned a NES and had only played a bit of the previous super Mario series but this one, being on the a new console was obviously something else. I still view the crispness of the 2D graphics, the simple controls and the gameplay that was easy to pickup but difficult to master as something of true gaming genius, and have never regarded it as inferior to any game that has come out after it, no matter home good the graphics, gameplay, complexity or replay value are. So we’ll start with the story. After the Events of Super Mario Brothers 3, Mario, Luigi and Princess Toadstool decide to have a vacation in Dinosaur Land. Which contains Yoshi’s island and the “race” of Yoshi’s (see explanation on previous Yoshi’s Island post here) who have been captured and trapped in enchanted eggs by none other than Bowser, who has returned and is building his Koopa army up again in Dinosaur land and inevitably captures Princess toadstool again and Mario and Luigi have to save her again. 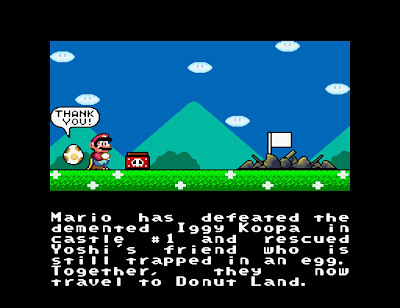 Storyline-wise it’s pretty simple but if you’ve played the entire series before this one it’s just another episode in the Mario world and plus you’ve got a whole new world to explore. 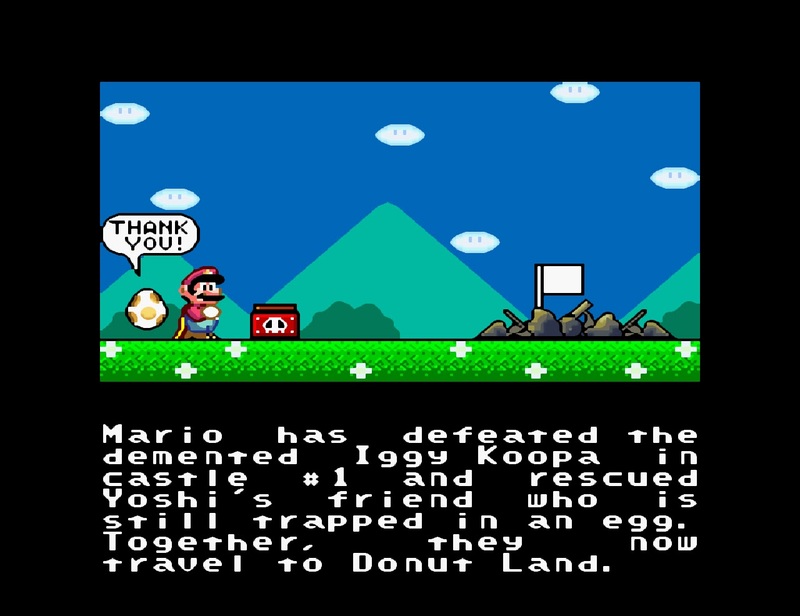 And a new world it is indeed, I’ll always remember that starting music where you see Mario standing there with that beautiful background of the dome mountains and the welcome text come up, before you appear on Yoshi’s Island right outside Yoshi’s “house” which is a nice little sub level where you find out that Yoshi is out at the time. 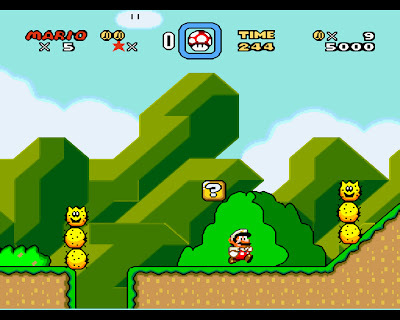 I was glad that Nintendo kept the ‘world-map’ format from the last game where you traversed across the screen as a “Mario icon” before entering levels except this time Mario actually appears to walk, turn and spin around while moving across the map. 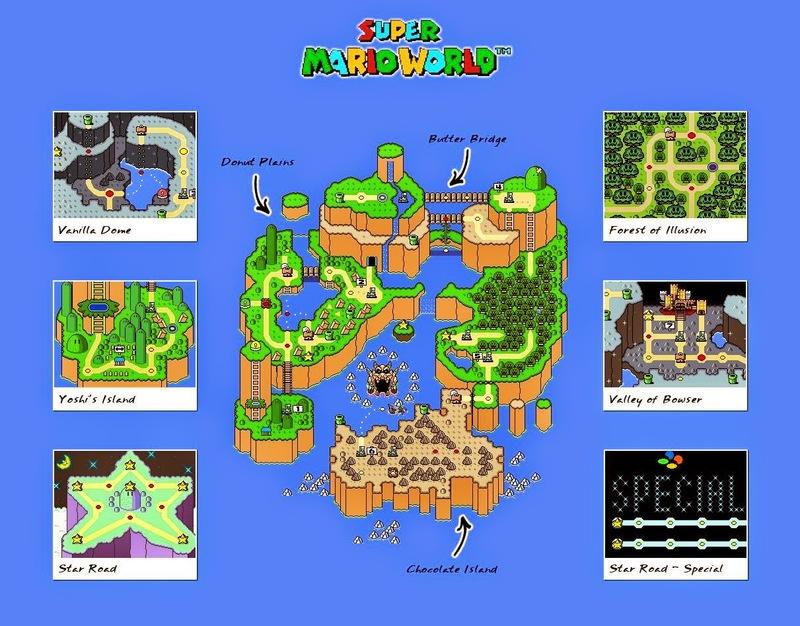 The map is beautiful looking in itself though it lacks the constant movement of SMB3 though it has movement in little areas like fish jumping in the lake and ghosts circling round the ghost houses and it also transition into several sub zones with their own music, like the awesomely named Vanilla Dome and the Forest of Illusion. I also like it how the world changes as you complete things i.e. bridges and hills grow, new paths are made, new geographical elements pop out of the land or sea, it made the map quite an interactive experience. Dinosaur land has a range of environments including grassy plains, wetlands, underground caverns, forests, ghost houses, castles and an Island resembling chocolate. A full map of Dinosaur Land plus the interior and special areas. It’s hard to put into words the impact the graphics had on me just seeing the crispness of the image and the new effects of the Super Nintendo, it certainly had much more of an effect then the NES or any of the older PC games I played before. The graphics were perfect for the game you could see the detailed backgrounds with many layers that later got added to the original Mario series and got upgraded even more with the Yoshi’s island sequel and sometimes they actually move and spin with the level itself, you could see the grass and the dirt and the bushes and trees and those shiny pipes all in great detail. 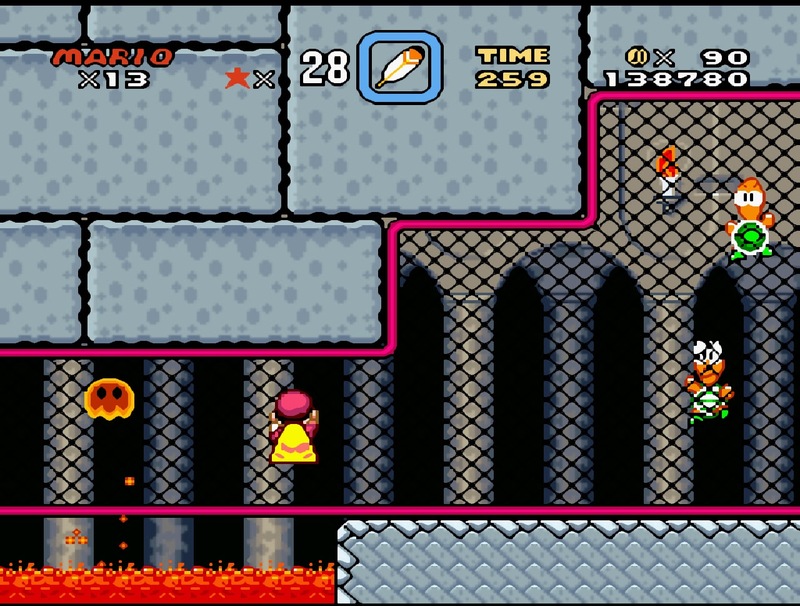 The effect like water splashing and lava flowing look great and at certain times (especially during the castle cutscenes) there are some great animations where sprites fly towards and away from the screen. With the enemies you can see how some of them actually have animated reactions and sometimes appear visibly distressed when jumped on, something that you never saw with the mostly static-faced enemies of the previous games until they got the Mario All-stars reboot. Mario himself looked great with visible eyeballs and more humanlike features, especially in his bigger “super-mario” form and I admit the Yoshi’s look the best in this game. Beautiful, it seems so minimal but there's so much detail. The controls this time around are a bit different seeing as there are two other buttons on the controller this time, the B button is to jump and jumping is still the predominate way to defeat enemies. 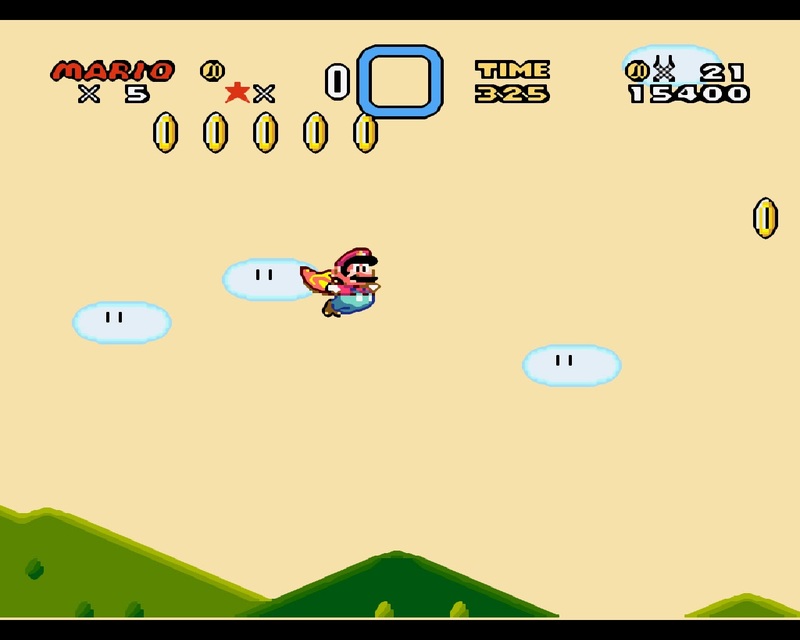 The X and Y buttons are a composite of Dash/Interact/Special ability and the A button is used to do the new spin jump allowing you to do a number of things which include causing some enemies to disintegrate completely (instead of jumping on them twice), breaking certain blocks and as a way to bounce across enemies you wouldn’t normally be able to jump on. Other controls include being able to scroll the screen using the L/R buttons and Start button to pause as usual. The select button has an interesting new feature that when you have any kind of powerup already and you grab another one, your previous powerup is kept in a blue box at the top of the screen and drops down for you to pickup when either 1. You hit an enemy and lose your current powerup, or 2. You press the select button. 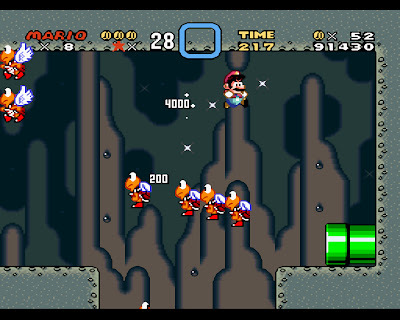 There powerups in the game include the Super Mushroom, Fire Flower and the new Cape Feather which turns Mario into “Caped” Mario (not Super Mario obviously that’s what the mushroom does) which allows you to fly like superman after taking a running start similar to the Super Leaf in Super Mario Bros. 3 though flying with the cape is a little more complex and it wasn’t till later in life that I realised how to use it properly. With the cape you could spin it around and defeat some enemies you usually couldn’t, you could also spin jump higher and when holding B, use the cape to float down slowly when jumping or spin jumping. Flying with the cape turned out to be quite a complex matter, you could fly up into the top of the map and then zoom down and slam the ground cause a quake killing enemies nearby, though you could also use the left and right directional buttons to use the cape to float so for example when doing a dive you could pull back and zoom up higher and if you were good enough you could float along for awhile which was actually required for a couple of the secrets in the game. 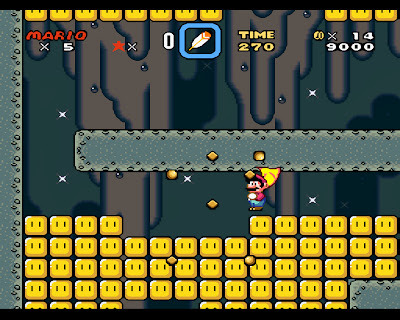 There was this bit on the first level you get the cape which had heaps of coins in a row in the sky and I never figured out how to get them all until I’d played the game through many times. It’s true the different suits have gone missing like the Tanooki Suit, the Frog Suit, the Hammer Suit, and Kuribo's Shoe but their really not needed in my opinion. 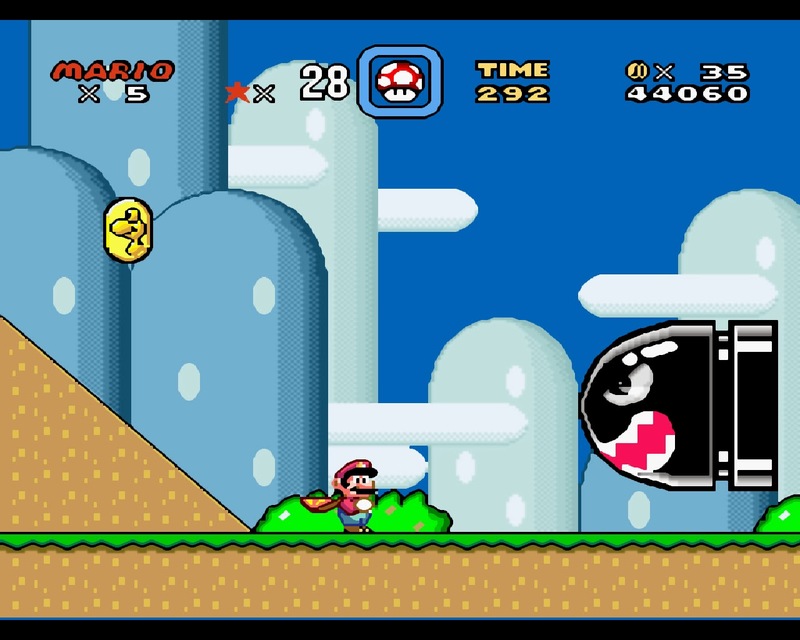 Other powerups included the P-Balloon which made Mario expand and allow him to float, the Star which was the usual invincibility and Yoshi's Wings which could only be used when riding Yoshi and flew you up to Coin Heaven and also turned your current Yoshi to a blue (or purple really) Yoshi. 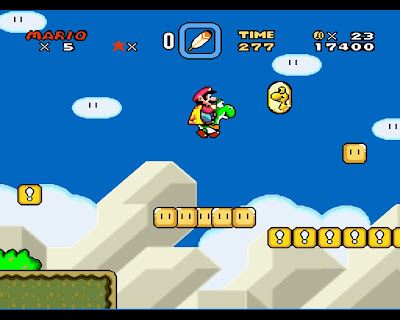 New items include the Dragon Coins where you collect 5 in a level to earn and extra life, Key and Keyhole which lead to an unlockable alternate area and the rare 3-Up Moon which does exactly what it says. The P-Switches also make a comeback with a grey variety that turns enemies into Silver Coins and goddamned did it take me awhile to realise that some of the timed ones that leave a trail of coins are actually able to manipulated by the player as to which direction they go. Having played the game through again recently, I thought to myself that I really never came that close to how good I used to be at this, playing it on emulator now with a PS2 style controller also was a slightly different feel and I had to fight off the urge to use the ‘save anywhere anytime’ feature that emulators have before difficult sections or boss fights. As with all Mario games you quickly get a knack for the gameplay and pretty soon you’re jumping and flying and riding along with ease. Speaking of pace, the pace of the game is great, with the exception of the levels that automatically move the camera and you have to keep up, you can run and jump along at your own pace (though there is a time limit) and even run back through the level to finish something off or chase after a powerup. I never really liked the Sonic the Hedgehog games, sure it may have been cooler and faster, but I’m the type of person who likes to explore a level, and barrelling at top speed around a ramp and then crashing into some horizontal facing spikes is not my idea of a good time. 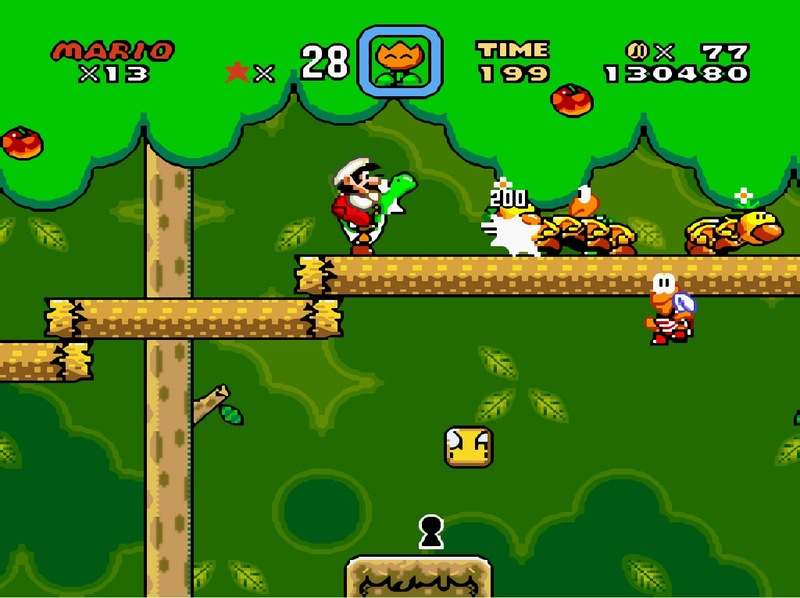 The game can be player either 1 or two player with the 2nd player playing as Luigi and the two players taking turns. 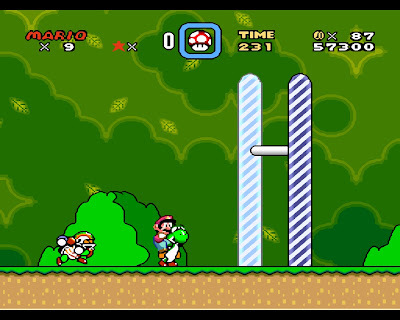 All the usual Mario mechanics are in there, hitting question mark blocks, getting coins, getting points, the end goal this time is an actual goal which is often guarded by an interesting new enemy called Chargin’ Chuck who resembles an NFL player, the Giant Gate that acts as the end goal has a beam moving up and down and depending on how high Mario hits the beam he gets a certain number of points and after reaching 100 points he gets to go to a bonus game to gain some free lives, some bonus levels are also hidden throughout other maps. 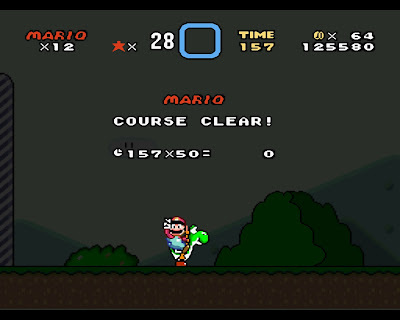 I remember in my childhood finishing a level and giving the V for victory sign with my hand at the same time that Mario did. 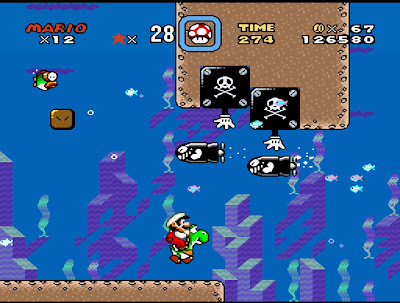 As we all know, this was the first Super Mario game to include Yoshi who (after taking a brief visit to his house) is found trapped inside an egg in one of the first levels of the game, he explains to Mario and Luigi that he and many other Yoshio’s are trapped inside eggs throughout Dinosaur land some of which are held by Bowser’s children aka the Koopalings in their castles. Riding Yoshi was great fun I especially liked the bongoes that got added to the music when you were riding him. 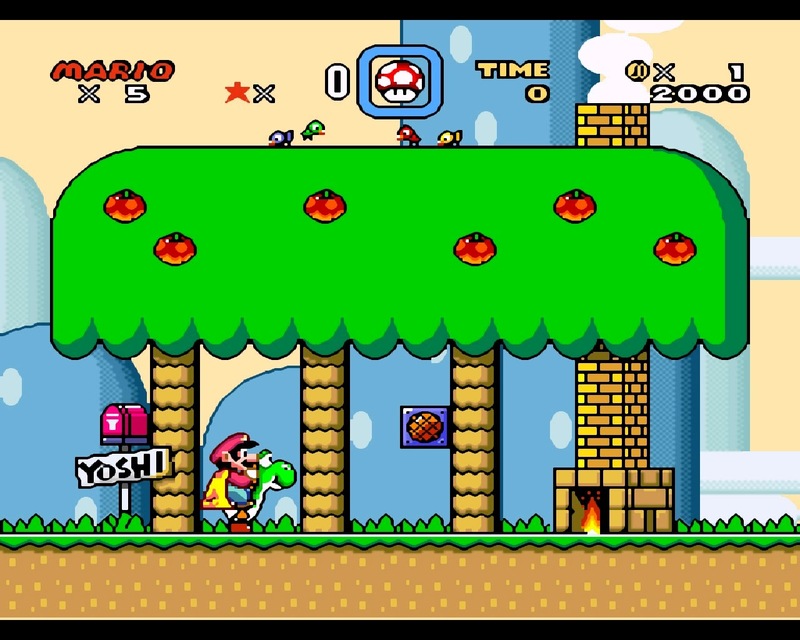 Yoshi could eat almost any type of enemy as well as explode them when he jumped on them, he could also eat the berries which were hanging in various levels which I’ve only just found out actually did something. 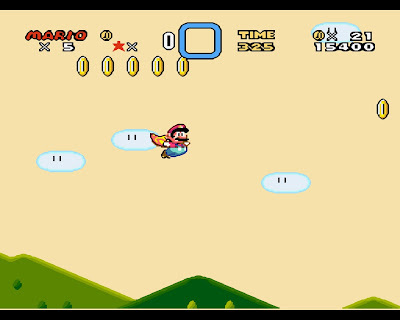 You could fly with Yoshi if you had a cape albeit just up and down and he is able to hop across surfaces or enemies that Mario cannot such as Spinies he also had that special Yoshi's Wings powerup. Red Yoshi, a Yoshi that spits out all Shells in the form of three fireballs. It loses any Shell Power by spitting the shell due to all shells being used for fireballs and thus being unable to be recaught. Blue Yoshi, a Yoshi that flies as long as a Shell is in its mouth. Yellow Yoshi, a Yoshi that can shake the ground by taking a Shell into its mouth, defeating enemies with its impact. 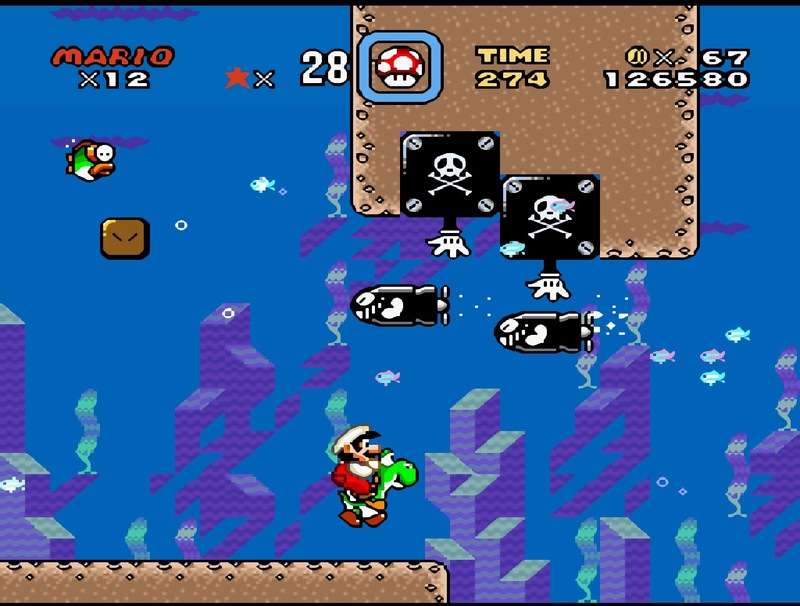 These Yoshi’s are obtained usually through the Star World which I’ll get into later with the exception of Blue Yoshi who you also receive when using a Yoshi's Wings powerup. If Mario is hit while riding Yoshi, Yoshi will run away but Mario can run and jump back on before he runs into a bottomless pit or whatnot. 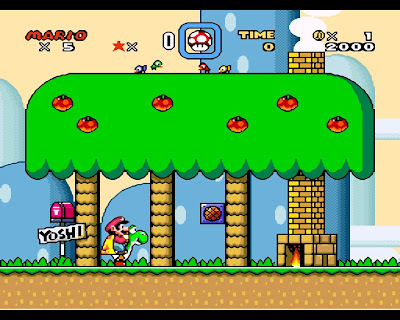 If there was ever a game where I enjoyed almost every bit of music and sound effect from then Super Mario World would come quite close. 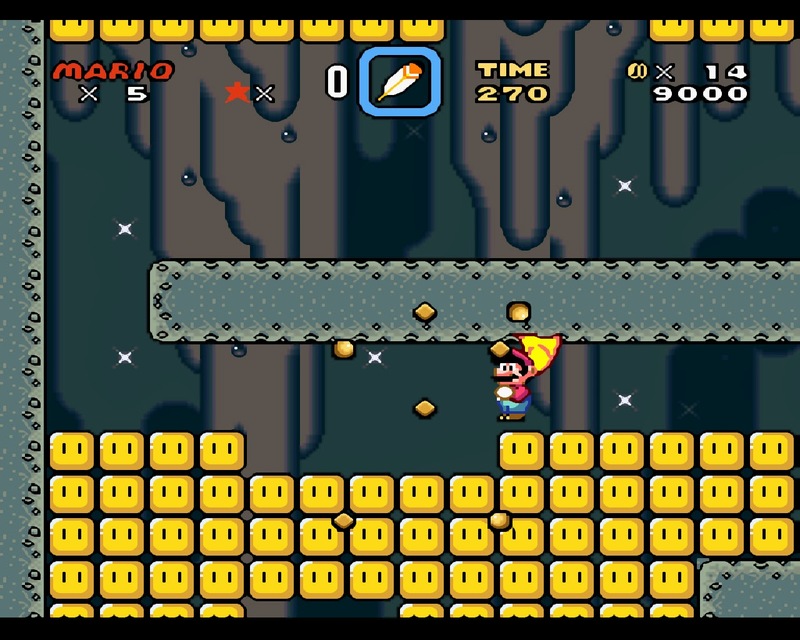 The sound of Mario jumping, the sound Yoshi makes when he breaks out of the shell and when he shoots out his tongue, the awesome sound when you get your first Cape Feather and the very satisfying sound of a castle, fortress or switch palace going under. 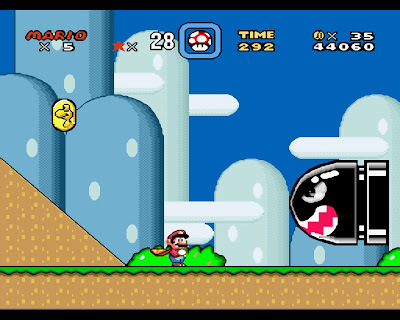 The sound effects make Super Mario games what they are and this one was no exception, it’s kind of hard to describe but everything just works, the sounds are much smoother then Mario Bros 3 (yes even the All-stars remake) and make for a better feel overall. The castles had one of the best (if not the best) soundtracks in the game. 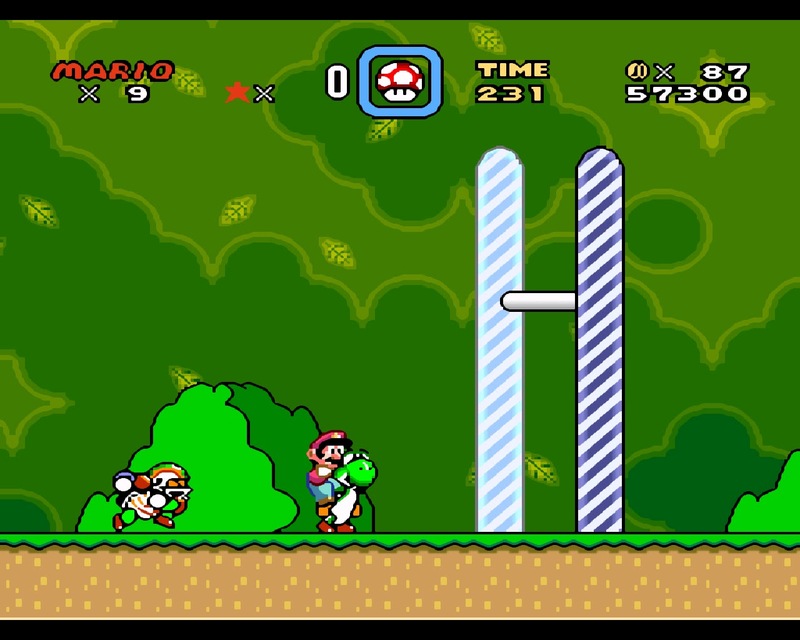 Here Mario is climbing on a fence and could also punch koopas off, something we'd never seen before. 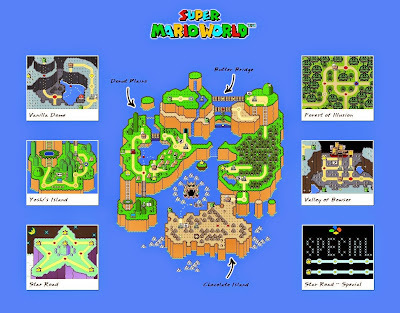 One of the things I liked most about Super Mario World was the secrets, there were heaps of them, every level had a little secret of some kind, the many pipes in the world still led to secret areas inc the bonus 1up areas. 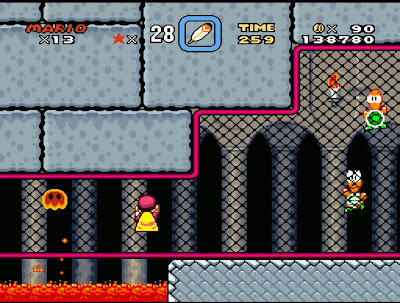 Many of the levels had a key and a keyhole and led to alternate paths and secret levels, the cape feather was most often the catalyst of this as many secret were in areas above the level either in the sky or on the roof of the cave. 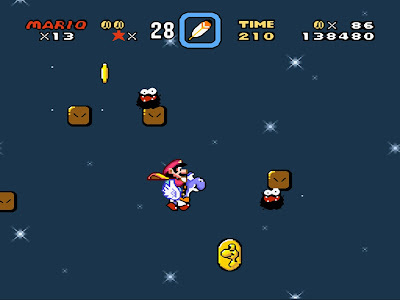 The Star World where the baby coloured Yoshi’s are found requires you to reach the various star roads where Mario does this amusing spin and flies off into the sky (damn it took awhile to find a path to the last one). The levels of the star world to find the key and keyhole to get to the next area and I won’t spoil anything else in the rare case that you haven’t played it. 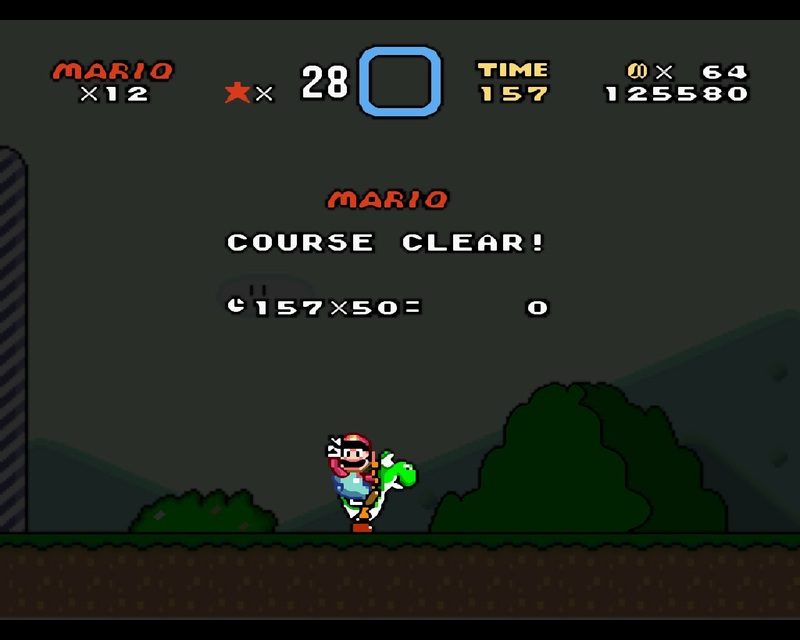 It took me quite a while to work out all the secrets that I’ve currently found and no matter how many times I finish the damn thing the highest I’ve gotten is 97%, something about getting all the level exits and I didn’t even get that far. 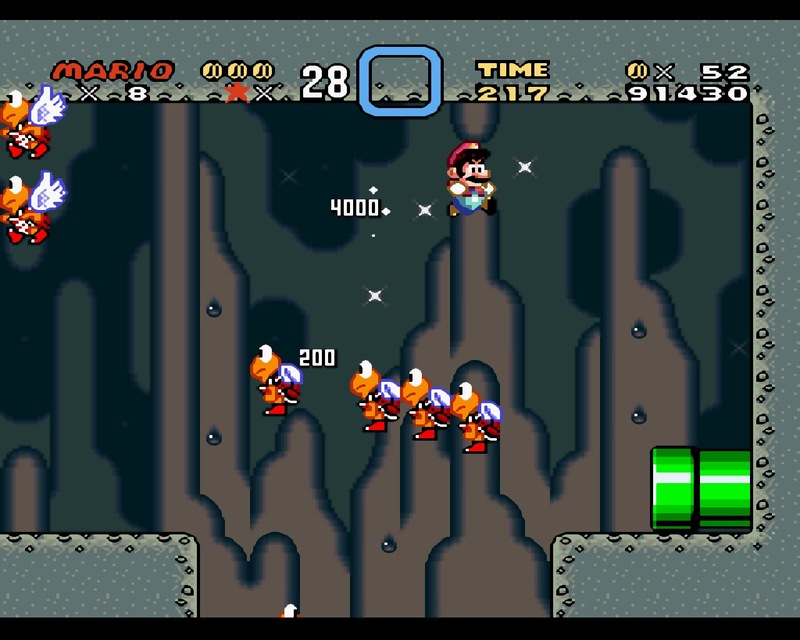 Until a couple of years ago when I was playing on emulator and finally found the Soda lake secret area which had the Torpedo Teds which I saw in the ending credits but never knew where the hell they were for years until I finally couldn’t take it anymore and had to look it up and there was a few other things I had to look up too but I guess that’s why games used to have strategy guides. I can’t say much more about Super Mario World other than that it was the game that shot my gaming career into life, and I’m definitely not alone in my praise, you look at the reviews on Gamefaqs and there’s barely a score below 9 (out of 10 of course) Shigeru Miyamoto himself has often stated that Super Mario World is his favourite Mario game and needless to say I fully agree. 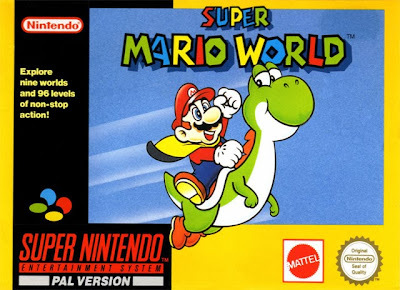 There’s not many games I experience anymore that come close to what Super Mario World did for me, I remember even thinking about it while in class at Primary school but I guess I did that for a lot of things. 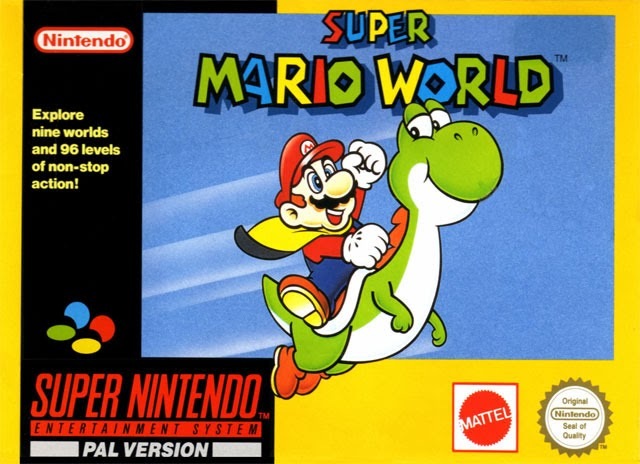 This game was the epitome of the Mario games on the Super Nintendo (along with Yoshi’s Island) and I have never and will never care about any Mario game that was made after the SNES as much as I did the original series and Super Mario World has always been and is still my favourite game in this world. Others come close, but never conquer.